Mysterious, enchanting and not afraid of anything. Creepella is hauntingly cool and she loves showing monsters who’s boss. Unlike her good friend Geronimo Stilton, brave Creepella is no ‘fraidy mouse. She lives in a cemetery, sleeps in a marble sarcophagus, has her own pet bat and drives a hearse. Creepella has lots of spooky supernatural cases to deal with. Read them if you want to squeak with excitement! 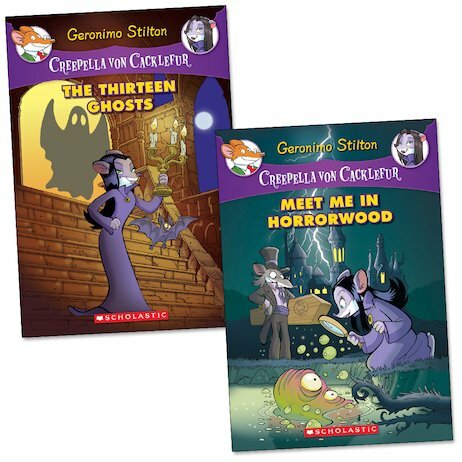 All the chuckles and colour pictures of the Geronimo Stilton books, but with a spooky edge too. A deliciously dark flavour.